Visit your ‘Adverts Manager’ account on Facebook. If you have a Facebook page for your company, you’ll see this in the menu on the left-hand side of your Newsfeed. 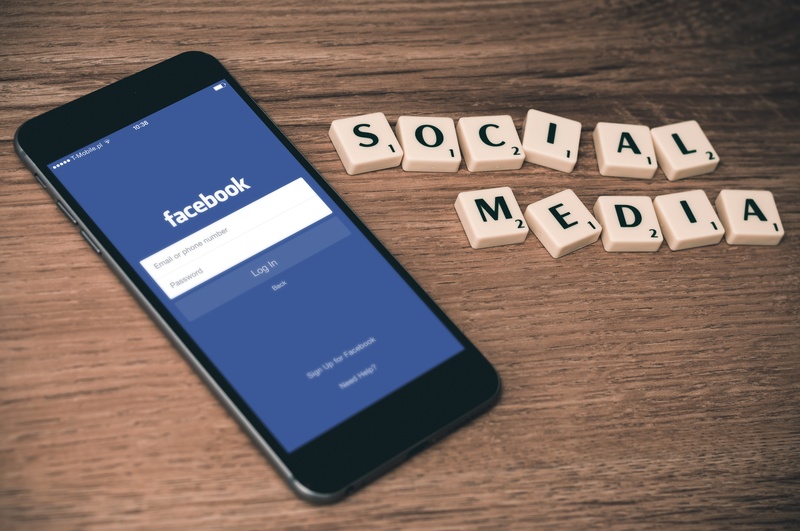 If you don’t yet have a Facebook page set up, you’ll need to do that first. Click on the green ‘create advert’ button in the top right-hand corner. Pick what you want your ad to achieve. There’s a load of options to choose from, but to promote your HowNow class specifically, you might want to try selecting ‘send people to your website’. Give your campaign a name to help you track its success and click ‘continue’. Now you’ll create your audience. You can target your add to people in, or even just visiting, specific locations if that’s what you want to do. However, do keep in mind that because your class is online it can be taken from anywhere. You can also choose the ages, gender, and language of the people you want to reach. After that, it gets interesting. You can choose people depending on their specific interests. If it’s possible to ‘like’ something on Facebook, it’s possible to target an ad to reach fans of that subject. If you’re a yoga or guitar teacher, that’s a good place to start. If you’re teaching business, you could target people who like The Apprentice. This is where a good knowledge of your demographic comes into play. You can save your audiences to use again, or create a new one each time if you’re feeling experimental. Using the ‘Connections’ drop-down menu you can then choose if you want to target just the people who like your page or people who’ve never heard of you. Once you’ve got your audience it’s time to decide on a budget. This can be per day or for the lifetime of the ad so make sure you’ve checked this over before you let your ad go live. You could spend as little as a fiver or as much as you like, really. It’s totally up to you. Facebook will never charge more than the budget you set, so there’s no need to worry about it going rogue. Decide what you want Facebook to charge you for. This can be either link clicks or impressions. When you get to this part of the Advert Manager it’s wise to work with Facebook’s recommendations if you’re not familiar with the process. As you get more comfortable you can play around more. Choose your image. If you have a high quality image, that’s great. If not, Facebook also have a library of stock images you can use. Beware of images with too much text. Facebook used to ban any images with more than 20% text. That’s not the case any more but they do warn that ads that have images with too much text will be shared less. If you’re advertising your class, the ‘website URL’ box is the place to share your class link. That way, when people click on your ad they’ll be taken straight there. After that you’ll fill in a headline and the text for your ad. Your headline and text character limits will vary depending on the kind of ad you’re producing. After that, you’ll have the option to preview your ads, and then once you’ve confirmed you’ll be away! It’s great fun to see what kind of results you can get for different kinds of ads. The other kind of Facebook ad that’s super-easy to create and doesn’t even require you to spend time in the Advert Manager is a promoted post. If you’ve created a post and think more people should be able to see it, this is the option for you. Facebook’s algorithms work in such a way that this is basically the only way to guarantee that your content gets the attention it deserves. 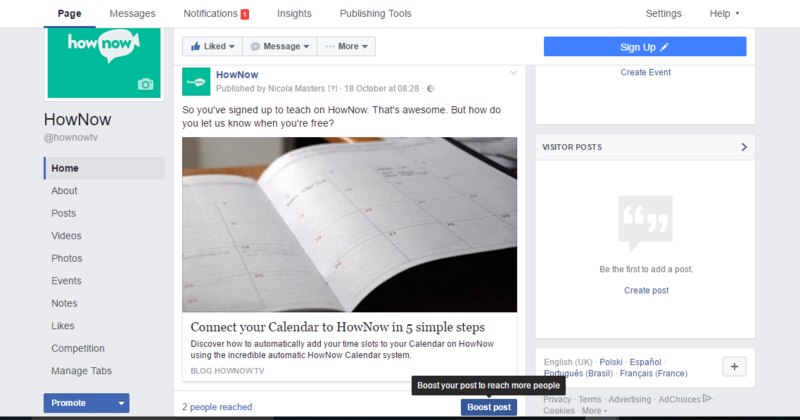 Find the post you want to boost and click the ‘Boost post’ button.You’ll choose and audience and a budget just like you did when setting up a full Facebook ad. While your boosted post is still being promoted, and after your campaign has finished, you’ll be able to see exactly how many people you reached. When you view your results you’ll see more details about exactly who engaged and how, which can be vital information to use when planning future ads and deciding who should be in your audiences. So there you have it! 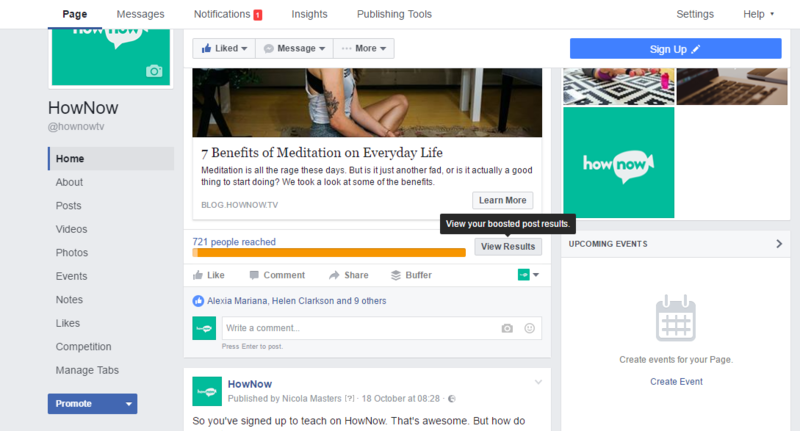 Promoted posts on Facebook are great to advertise your classes, and you can create campaigns to suit any budget. We can’t wait to see what you come up with!